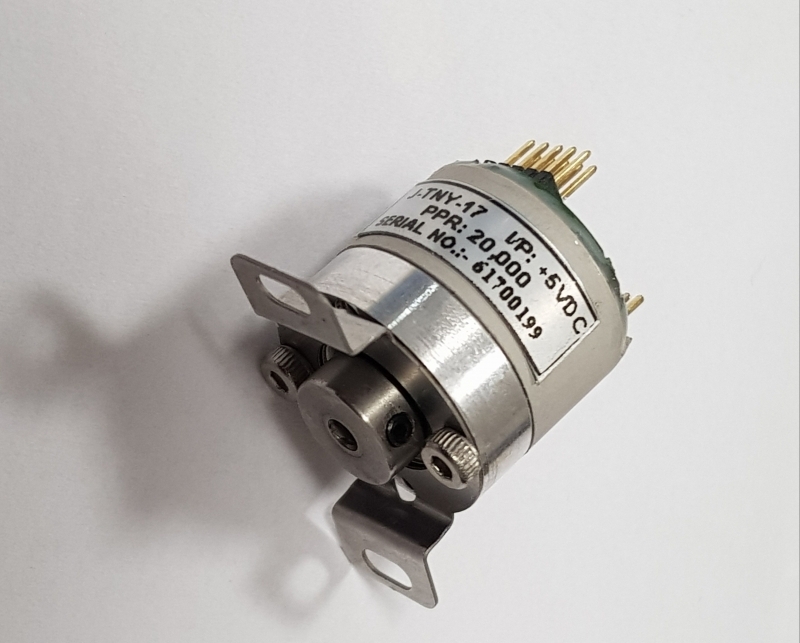 With a diameter of just 17 mm, length 23mm, and weight only 12g, this encoder comes with a bore for a 2 mm diameter shaft and internal bearings, outputs incremental and differential signals, including an index and reaches a resolution of up to 80,000CPR. The encoder is built for working at temperatures of -40 to 105 Deg. It reaches a rotational speed of up to 6000 rpm and is suitable for harsh environments, including defense applications. The encoder is designed in Germany, manufactured in India and it perfectly fits your Indian offset needs.